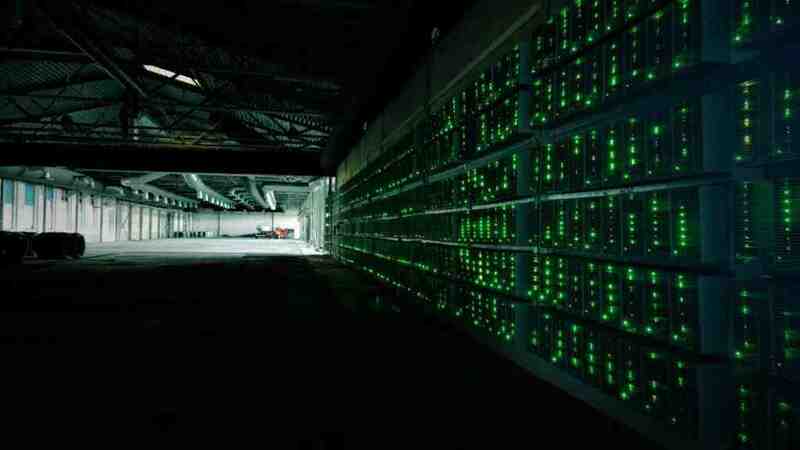 New large data centers are emerging in the stagnating Russian cryptocurrency market. They provide their energy capacity for bitcoin mining. One of them is Bitriver that bought 100 MW from En+ Group (its biggest shareholder is billionaire Oleg Deripaska), which Invest Foresight found out at the TerraCrypto mining conference. The cost of electric power is a key factor in cryptocurrency mining. Bitriver searched for power all over Russia and found it in the Irkutsk Region. It is now buying it from Bratskaya Hydropower Plant (Irkutskenergo) at around RUR 2.4 per kWh (4 cents) without VAT and at RUR 3.5 per kWh (5 cents) for miners, according to the project participants. The Bratskaya Hydropower Plant is part of En+ Group in which 44.95% belongs to billionaire Oleg Deripaska and his family. The hydropower plant has plenty of capacity being the largest hydropower producer in Russia. The data center created by Bitriver has the capacity of 100 MW. None of the major Russian miners (Bitbaza, Cryptouniverse) has by far reported a purchase of this amount of energy. But after all, nobody really knows where the mining farms are located, what capacity they have and who controls them. Therefore, nobody is clear about who is the largest in the market. “Bitriver owns the largest data center in Russia built in the same location. It costs tens of millions of dollars, I’m talking from my experience. There are no other projects of this scale in Russia and it is unlikely they will emerge any time soon,” said Electro Farm Managing Partner Dmitry Ozersky. The Bitriver data center takes up three rooms at a metal structures plant with an area of ​​12,500 square meters, 150 meters away from a stepdown substation. The proximity to the substation was one of the criteria for choosing the point for mining. Building one from scratch is long and expensive. The data center is guarded round the clock by Rosgvardia. It began operation in October 2018, when Bitcoin averaged $6,500. Since then, the main cryptocurrency has plummeted to $3,500. Bitriver Rus was registered in Bratsk in November 2017. The sole owner of the company is the Cayman-based Bitriver Limited (data from Kontur.Focus contractor database). Its financial accounts are not disclosed. According to its CEO Igor Runets, the company did not show any profit in 2018. Runets has a degree in engineering from the Ural Federal University and a business degree from Stanford Graduate School of Business. He and his partner ran a company, Servers.Global, in the USA, which provided services to conventional data centers and hosting companies for American customers in the CIS, Eastern Europe, and South America. Currently, Bitriver has 15 clients – legal entities that own 12,000 miners (mostly S9 produced by Bitmain). 95% of them mine bitcoins, while 5% mine litecoins, zcash and others. Most clients (75%) are foreigners from the United States, Japan, Poland, China, and Australia. The equipment consumes 20 MW; currently, work is underway to build a new bitcoin mining complex. Each clients has the opportunity to see how much electricity his machines consume. The cost of placing miners is not disclosed and determined on an individual basis. In addition, En+ Group and Bitriver have a joint venture, Bit+, which now places client containers for cryptomining, with the capacity of 10 MW. This joint venture operates in Bratsk as well. Speaking of the legal aspects of business compliance in the conditions where cryptomining in Russia is non-existent by the law, Bitriver CEO Igor Runets says that his company is not involved in mining but provides data center services, and all responsibility for client equipment rests with its owners. Receiving access to electric energy for cryptomining in Russia is not difficult either. “We receive access to the energy officially – these are not behind-the-scenes agreements. We make an application and specify the amount of electricity we will consume, what equipment we will use, and what voltage we need. What is interesting about mining for En+ is stability: we consume electricity on a constant basis”, Baikal Crypto Mining Company CEO Stepan Vokin says. The Irkutsk-based company intends to boost the energy consumption up to 60 MW. With the bitcoin cost of $3,500, mining is profitable, Vokin emphasizes. When asked by Invest Foresight why Bitriver launched a data center in the declining market and whether the company considers such environment a serious risk for business, Runets answers in the negative. “We operate with a long-term perspective: the market has never died; it is moving from locations with expensive electric energy to those with cheaper electric energy”, he says. Bitriver CEO notes that with existing electricity prices and bitcoin price, the cryptomining profitability is 40%. Runets has not disclosed the data center’s profitability; Baikal Crypto Mining Company representatives believe that the center can make RUR 200 ($3) from one machine per month, or RUR 2.4 mio ($36,651).